Situated right in the heart of the Riviera Maya, Playa del Carmen is the region’s top destination for shopping, dining and nightlife. There’s plenty to keep you occupied here and it serves as an ideal base for exploring the rest of the Riviera Maya. After your day at the beach, head into town and take a stroll along the pedestrian Fifth Avenue strip, locally known as Quinta Avenida. La Quinta is the place to see and be seen in Playa del Carmen. By day it’s packed with people browsing the shops and boutiques; by night roving musicians entertain diners in the many restaurants and bars. 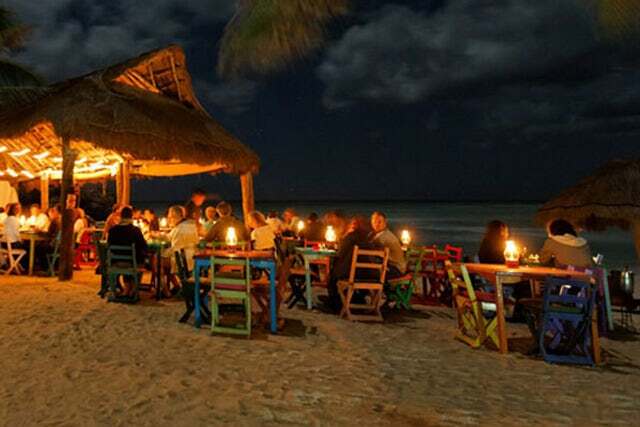 Playa del Carmen is one of the Riviera Maya’s top culinary destinations where you’ll find everything from street tacos to five-star establishments serving up their own unique takes on traditional Mayan and international cuisine. As the evening progresses, La Quinta gyrates to the sounds of rock, salsa and reggae as people flock to the bars and nightclubs. The beach clubs get in on the action too, hosting dance parties that rage on until the early morning hours. Ferry service connects the Caribbean island of Cozumel with Playa del Carmen so you can easily enjoy a day trip out to the island for some scuba diving or snorkeling. You can also arrange day trips to visit ancient archaeological sites, ecological parks and cenotes. Located just south of Playa del Carmen is Playacar, a high-end development complete with golf courses, all-inclusive luxury resorts and gated residences. See you in Playa!